Keith Powell came from Bordesley Green and being brought up in a showbusiness family, was performing regularly as a singer by the age of 14. 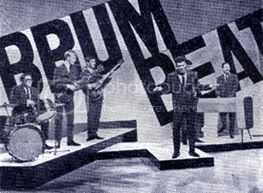 His first real group was called The Ramrods who started making appearances around Birmingham by about 1960. Keith Powell was a talented singer and performer while also having the good looks to attract a large female following. With his father Jim as manager, Powell was soon fronting his own group called the Jaymen. Jim Powell was also a well known promoter and head of JCS Productions which brought well known acts from all over the country to play in Birmingham. Keith Powell saw musical limitations within The Jaymen and left to join another Birmingham group The Vikings and become their lead singer (see Carl Wayne and The Vikings). By 1961, Keith Powell and The Vikings were getting bookings all across the country and the pace was such that Keith Powell, feeling exhaustion, decided to take a few weeks off to rest. It was during this time that singer Carl Wayne was brought in as a temporary replacement but ended up staying permanently and with manager Jim’s approval the group became known as Keith Powell, Carl Wayne and The Vikings. Inevitably this arrangement didn’t last and because of rivalry, Keith Powell left the Vikings who continued without him. During the interlude, Keith Powell experimented with songwriting but before long he was fronting a new group named The Valets – so called because they had originally assembled to back local singer Bobby Valentine as “Bobby Valentine and The Valettes”. Promoters usually ended up misspelling the name to “Valets” so to avoid confusion, the name was abbreviated to “Keith Powell and The Valets. The Valets included keyboarder Mal Ford who had played in Pat Wayne’s group ‘The Deltas’ (see Pat Wayne and The Beachcombers), John Allsebrook on bass guitar, saxophonist Phil Gaynor, drummer Mal Ritter, and Colin Wood on rhythm/lead guitar. 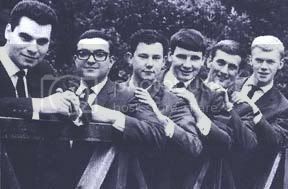 The band quickly established themselves as a top live attraction in Birmingham and in June of 1963, Keith Powell and The Valets were one of the groups to be signed up by EMI Columbia Records producer Norrie Paramour at the Moat House Club auditions. Keith Powell and The Valets’ first single composed by EMI’s Bob Barratt Come On And Join The Party, was a high-energy rocker that should have stormed the charts while the flip side was the more sedate The Answer Is No. The record got quite a bit of radio play and gained the group appearances on TV shows like ‘Thank Your Lucky Stars’, but did not sell quite enough copies to make the record charts. The same reaction was met with their second single Tore Up/You’d Better Let Him Go and released early in 1964. Despite touring all over the country and getting a great reaction from their stage-show, Keith Powell and The Valets were unable to get that all-important “hit record”. By the end of 1964 after a third great single had somehow missed the charts, Keith Powell had decided on a solo career and signed to the Pye subsidiary Piccadilly Records label under Rockin’ Berries producer John Schroeder who intended to capitalize on Powell’s powerful and distinctive vocal talent. Backed by top session musicians, one of Keith Powell’s first solo releases Goodbye Girl was impressive and well produced, becoming a hit unofficially on pirate radio stations, but subsequent singles were less successful and as a last attempt he teamed up with singer Billie Davis. They released three singles together, the last of which Swingin’ Tight was good enough to make the charts but unfortunately didn’t and thereafter Keith Powell faded from the scene. He did however, maintain a healthy career as a singer which included radio shows with the Geoff Gough Big Band as well as many years in cabaret touring various countries. Meanwhile, The Valets underwent some changes which included the replacement of John Allsebrook with Steve Horton from Denny Laine’s old backing group The Diplomats. Also in 1966, guitarist Colin Wood left to go to Australia (where he today runs his own publishing business) and the Valets became “The Showman”, backing local singers Gordon and Janet-Anne Andrews. Mal Ford later led his own band and eventually moved into promotion and artiste management, a business that he continues to operate successfully to this day. and to Mal Ford and Colin Wood for their assistance in writing this feature. When I think back to my days with Keith Powell and The Valets I liken it to an adventure.Certainly not on the level of the lads in the Moody’s, Move, ELO etc; who travelled the world in fame but the laughs that we all had even at some time been broke, was worth it. We were stuck in our lipstick illustrated band mini bus for hours between gigs, living on pie and chips, surely this was better than national service. Yes we were on Rolling Stones tours, TV, Radio earning our 10 shilling a night plus the £7 for recording at Abbey Road, but who cares, it was brilliant. To see further down the line fellow muzo’s like Jeff Lynne, Roy Wood, Ozzy etc; actually bringing B, ham to the world with their talent and knowing what they have gone through to realise their fame and hopefully financial security. It makes me so proud to be even in my small way associated with all the 60’s/70’s Brummie ( and Wolverhampton) lads and lassy’s who made some kind of success of their days in those mini bus’ s and never lost their Brummie pride and accent. I live in Blackpool now due to my business (showbusiness), but I am so glad my Mom and Dad God Bless them, paid for my music lessons to enable me 50 or so years later to remember those wonderful Rock’n’Roll days with such happiness and pride.